Why should smartphones have all the fun? How can I type emoji on my PC keyboard? It’s a question that you’ve probably asked, given up on, shrugged, and then pulled out your smartphone. Now, with Windows 10 and the Fall Creators Update, a new emoji keyboard will make adding emoji to Twitter, Facebook, and other apps a snap. While there’s nothing wrong with a good old-fashioned smiley-face :) or GIF, an emoji is a simple way to add a bit of fun to your communications. That’s the whole point of emoji, after all! 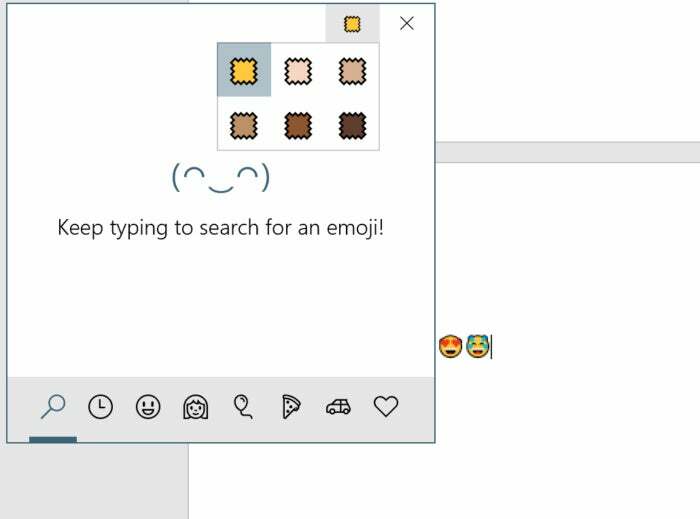 And while they’ve been part of smartphone culture for years, Microsoft has now added its easy emoji keyboard to Windows 10. A selection of the emoji available within Windows 10. What was so annoying about the state of emoji in the Windows 10 Creators Update is that Microsoft almost, but not quite, had it right. A tool called the On-Screen Keyboard is actually an accessibility app that you can launch using the Start menu, or, via the Control Panel, trigger to launch whenever you boot Windows. The On-Screen keyboard is not an emoji app, however, and trying to type a smiley-face simply types in text: a colon and a closed parentheses symbol. Given that the on-screen keyboard is rather detailed, you would think that emoji could be built right in. Nope. So close, yet so far. Predictive typing is a nice feature, though. If you’re lucky enough to have a tablet, emoji are accessible only if you undock the tablet and put it into tablet mode. In tablet mode, you’ll see an on-screen keyboard icon appear in the lower right-hand corner of your taskbar. 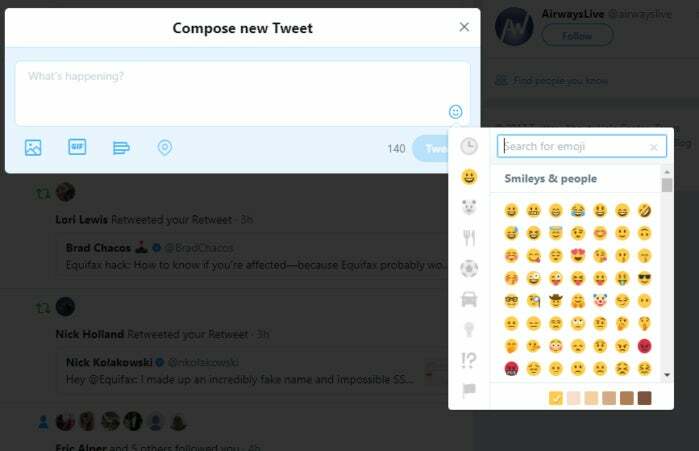 It’s this keyboard that allows you to type in emoji within the Creators Update—if you enjoy typing on glass while trying to tweet or send email. Discovering that Microsoft allows emoji in one on-screen keyboard but not in the other was the sort of design decision that, as a user, made you want to tear your hair out. Fortunately, Microsoft has resolved that issue with the Fall Creators Update. Microsoft’s emoji keyboard in Windows 10 tablet mode, within the older Creators Update. 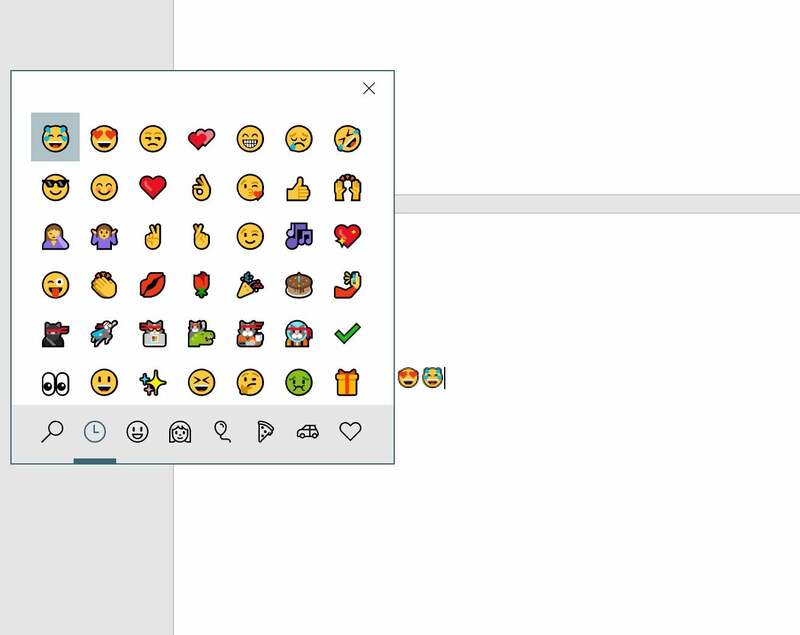 Once you receive the Windows 10 Fall Creators Update, here’s how to launch the emoji keyboard within Windows 10: either use the WIN + . (the period punctuation mark) key, or else the WIN + ; (semi-colon) key. Either will open the new emoji keyboard. Click the WIN + . shortcut, and the small emoji keyboard appears. 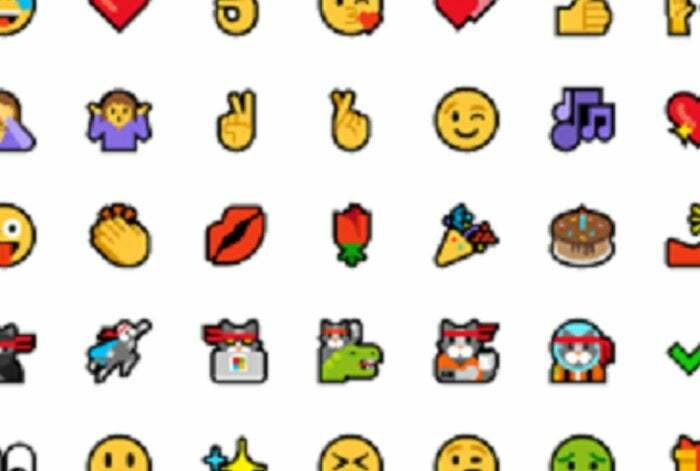 There, you’ll find the standard range of emoji, from people to food to sports, plus Microsoft-specific emoji like the ninjacat. You can navigate among the various “tabs” or categories of emoji via the Tab key, and touch or mouse to the one you’d like, or use the arrow keys. The Enter key selects the proper emoji. There’s one catch: Somewhat inexplicably, you can enter only one emoji at a time. After you enter your emoji, the keyboard disappears. That means, of course, that if you want to really emphasize a point—😢😢😢—for example, you’ll have to re-invoke the keyboard three separate times, or just copy and paste. Unfortunately, the emoji keyboard isn’t a true, draggable window, either—it remains in place. This small option allows you to set the skin tone of the various emoji. There’s one other option you should know about: On the very first tab of the emoji keyboard (and only that tab, for now) there’s a small “swatch” of what looks like fabric to the upper right, near the 'X' icon to close the emoji window. The swatch represents a global adjustment for the skin tone for each emoji, which you may vary as you choose. If there’s any downside to Microsoft’s emoji window, it’s that developers have already coded in solutions to fix the issue. If you post something to Facebook, or use the Web app that Twitter provides, each service will present you with a small emoji icon to add whatever emoji you’d like, regardless of whether you have the Fall Creators Update. Some developers have already taken action to add emoji. That’s not the case for all apps, though. 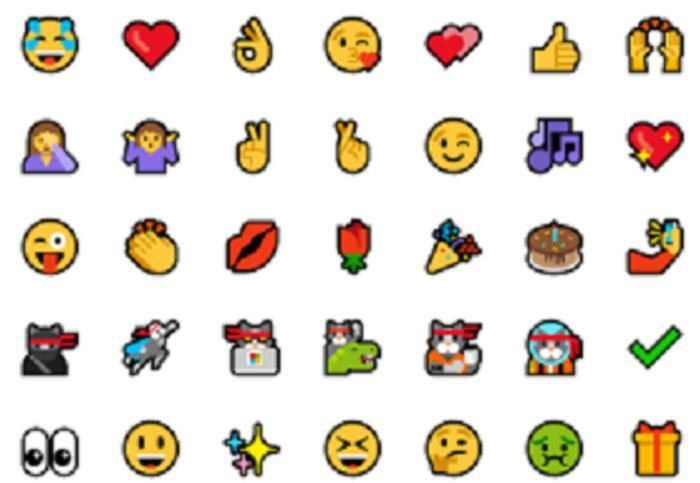 And Microsoft’s own—Word, PowerPoint, Mail, and others—lack the capabilities that the new emoji keyboard adds. Now that the emoji keyboard has dropped within the Fall Creators Update, it's cause for 🙌🎉🥂! This story was updated on Oct. 23 to reflect updated information after the launch of the Windows 10 Fall Creators Update.